The OMS Business Division sees the sales of the 20-mega pixel OIS as well as camera modules go up. Samsung Electro-Mechanics (SEM) continues to grow from the beginning of the year thanks to the early release of the Galaxy S6. As Samsung Electronics (SEC) reinforced its mid-to low-priced lineups, including the Galaxy A and E series, as well as the Galaxy S6 in the first half of this year, SEM’s performance will certainly improve as well. Public attention is drawn to whether SEC, which performed worse than ever due to the sluggish smartphone market last year, will successfully take off again this year. According to industry insiders on January 21, the key businesses of SEM (CEO Lee Yoon-tae) are turning around fast thanks to the improved operating ratio. Ordinarily, the first quarter is an off-season for the IT materials and parts industry, but things are looking different than before this year. Major market research companies and securities companies are upgrading the Q1 earnings outlook for SEM. The business that will lead the improvement of SEM’s performance is the OMS Business Division including camera modules. Last year the OMS Business Division performed poorly due to the lower operating ratio of camera modules. As the proportion of high-value-added products, such as the 20-mega pixel OIS (Optical Image Stabilizer), increased recently, however, the company is chasing two hares at once, i.e. sales growth and profitability. SEM is planning to further increase the production quantity of high-value-added 16-mega pixel and 20-mega pixel high-priced camera modules this year. 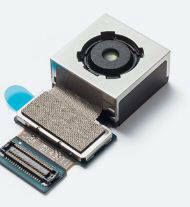 In the second half, the 16-mega pixel camera modules may be adopted for mid-to low-priced products as well. As the Galaxy S6 was released 2~3 weeks earlier than originally planned, not only the OMS Business Division, but also the ACI Business Division is doing very well. The ACI Business Division supplies the IVH (Interstitial Via Hole) HDI (High Density Interconnection) for the Galaxy S6. The sales of the Multi Layer Ceramic Capacitor (MLCC), which accounted for the lion’s share of its profit last year, look pretty good too. 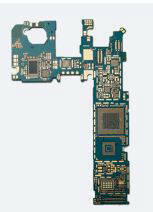 As the sales of Apple iPhones are increasing, the sales of the ultra-small high-value-added MLCC increased as well. The LCR Business Division, which includes the MLCC, has been greatly benefiting from the weak Korean Won since the fourth quarter of last year. The Won-dollar exchange rate has been KRW50~60 higher than the previous quarter since the fourth quarter of 2014. With the economy recovering in advanced countries like the US, demands for high-end smartphones are increasing, which is a positive sign for SEM. Until last year, the mainstream of the smartphone market was the ultra-cheap products that were sold in emerging countries. As the demands are increasing to a certain extent in advanced countries this year, the proportion of high-priced and mid-to low-priced products is likely to be readjusted in the smartphone market.